Hanovia manufactures the widest range of ultraviolet (UV) lamp / UV curing lamp products available. Our UV Lamps provide for clean, safe cures in seconds. 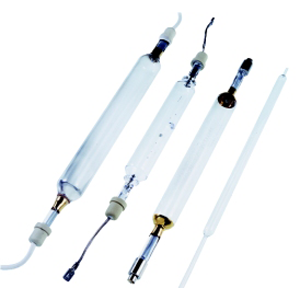 We also supply replacement UV curing lamps for all types of equipment and full OEM design and manufacturing service. In addition to UV curing lamps Hanovia also offers a range of UV light curing systems and uv curing equipment. 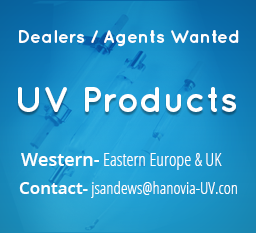 Hanovia ultraviolet curing lamps are available worldwide through our distribution network. Click on the link below where you can select the wattage and arc length for your specific application or contact us for assistance.